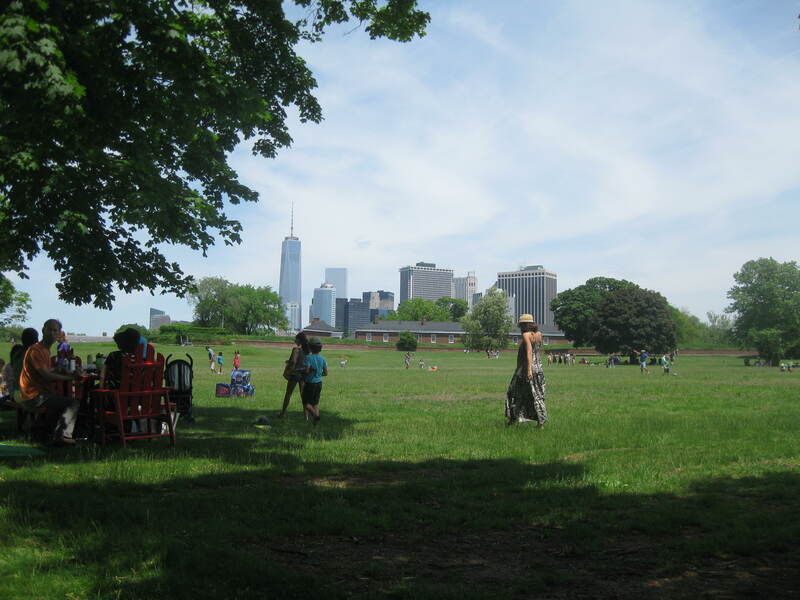 For the second part of our Memorial Day weekend celebrations we decided it would be nice to take a day-trip somewhere, and a perfectly-timed recommendation from a friend saw us hopping on a ferry to Governor’s Island, just off the southern end of Manhattan. 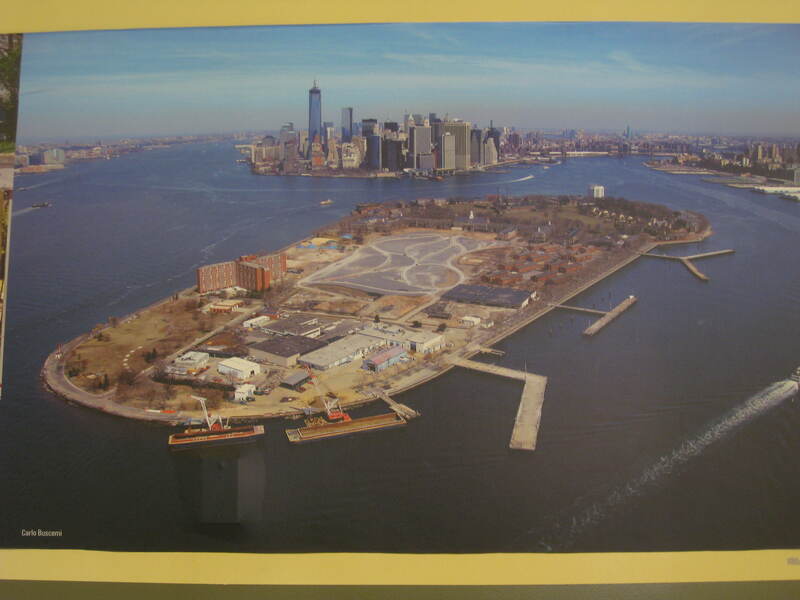 Perfectly positioned to provide some fantastic views of the lower Manhattan skyline, Governor’s Island has had a varied history. For a long time the island was a military fortification, then passed to the coastguard who used it for some 30 years from 1966 onwards. 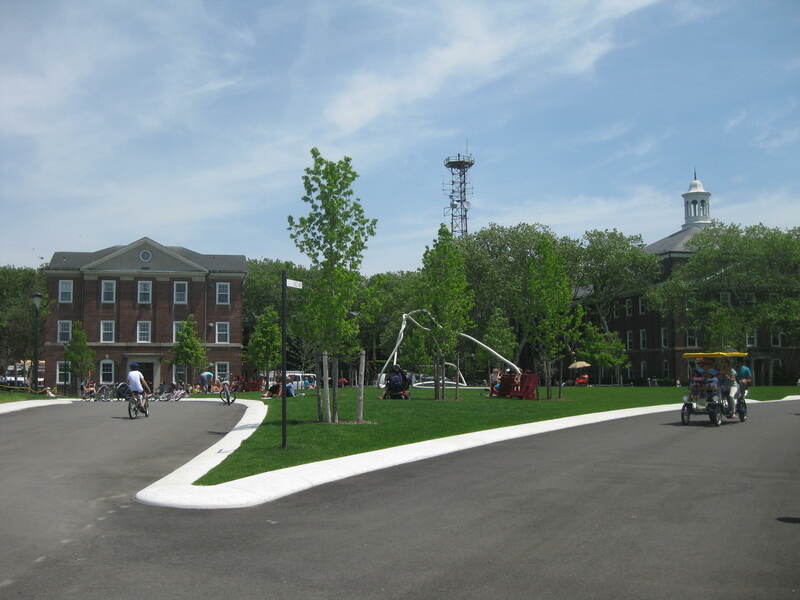 Since the early 2000s it has been gradually redeveloped as a public park, open to visitors during the summer months. 2014 is the first year of the park opening every day during the summer (previously it was weekends only), and a lot of work is still going on to make it an even more appealing place to while away a sunny day. 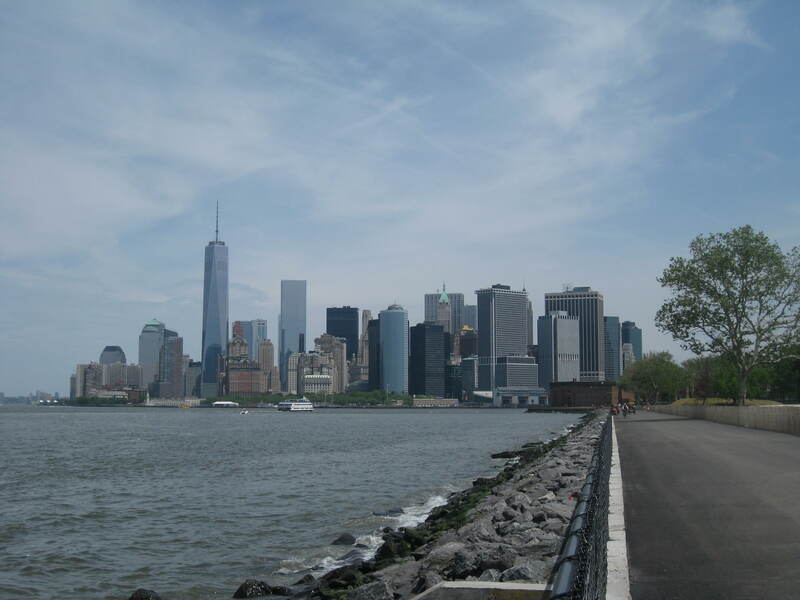 Wide paths meander around the island, and cycling is encouraged. Generous grassy spaces encourage the energetic, whilst there are plenty of shady spots for the more sedentary visitor to enjoy. We brought a picnic lunch with us, but there were plenty of food carts and stands selling a wide variety of tasty treats, and of course we had to sample the ice cream! Suitably refreshed, we continued to wander around. Most of the buildings on the island were clearly residential, but some of the fortifications remain. 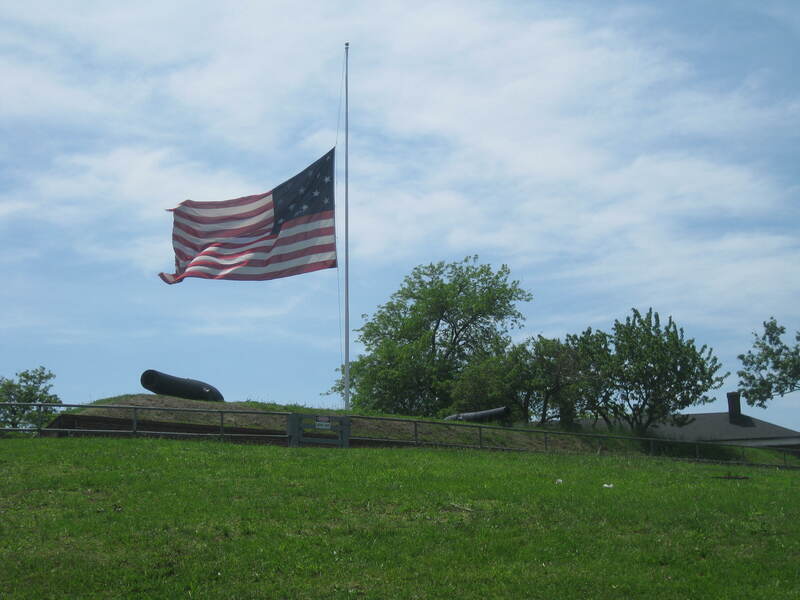 Fort Jay occupies the highest point of the island, and visitors can admire the still-impressive earthworks and cannon. Contained within, however, is a courtyard of somewhat more recent three-story buildings with wide porches, and the thoughtful addition of rocking chairs makes this an ideal, if somewhat strange, place to while away an hour or so. 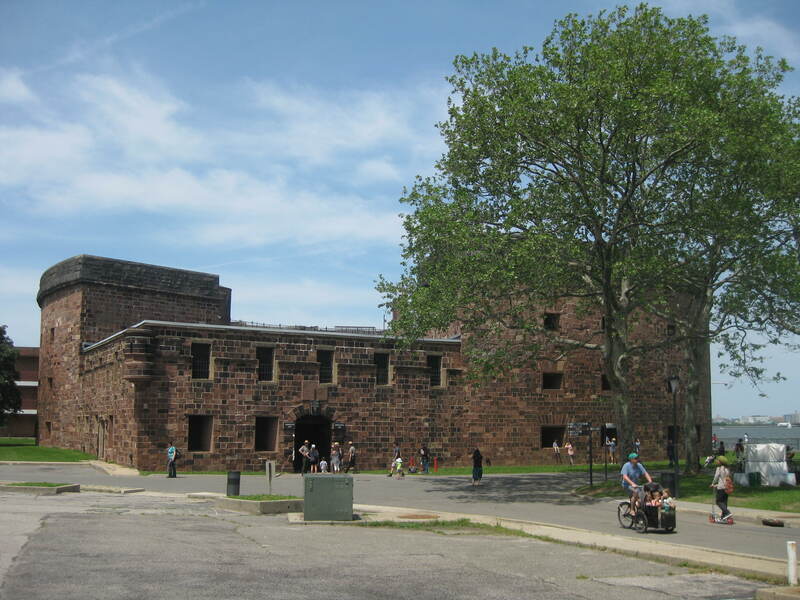 Our visit ended with a look around Fort Jay. Initially a strategically-significant part of the harbour defenses, it was completed in 1811 to a pioneering design (though I’m not sure that it ever saw much action). After 1865 it was converted into a prison (although not a terribly high-security one, judging by the number of inmates who apparently managed to escape to the mainland), once the coastguard moved in it became a kind of community centre, and these days it functions as a rather atmospheric museum. 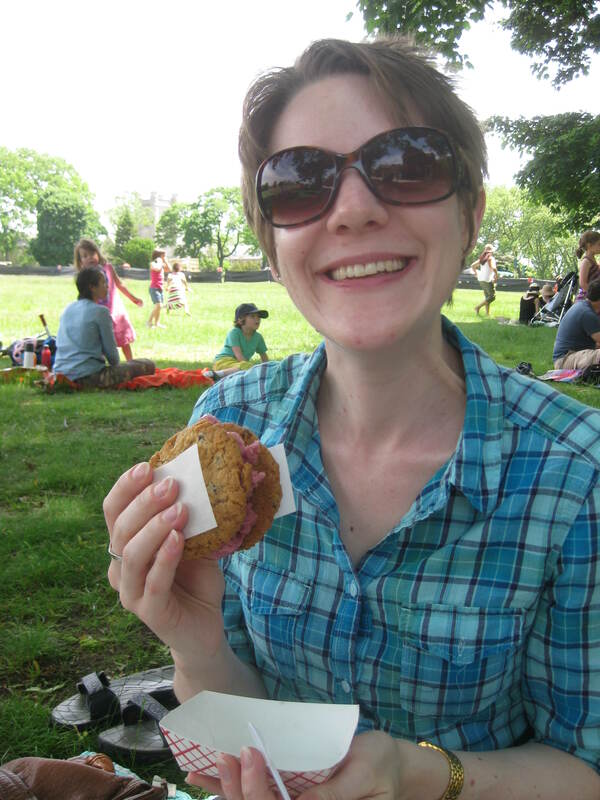 This entry was posted in Living and tagged ice cream, sunshine, water taxi by Emma Davidson. Bookmark the permalink.